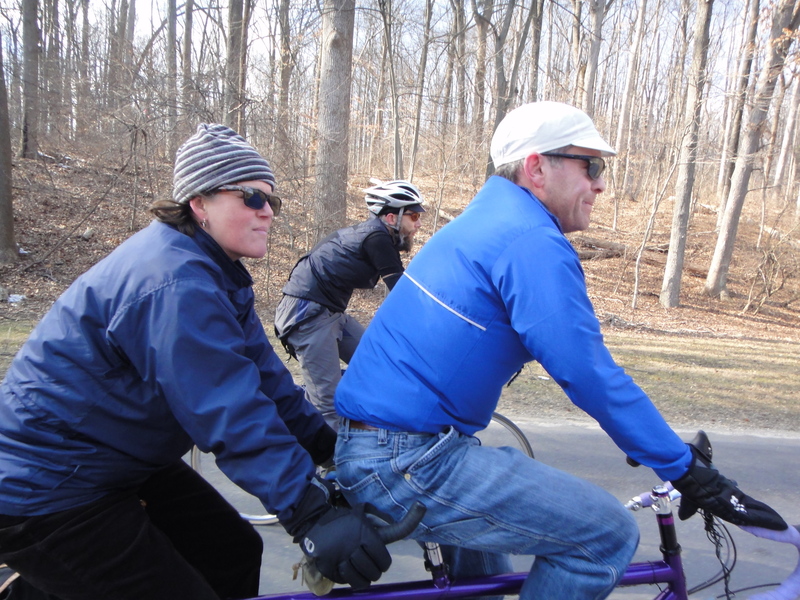 Today offered up a pleasant 40-mile ride with friends through town into the Maryland ‘burbs. We took Rock Creek on our way out. On the return to D.C., we decided to take the Capital Crescent Trail (from Bethesda). 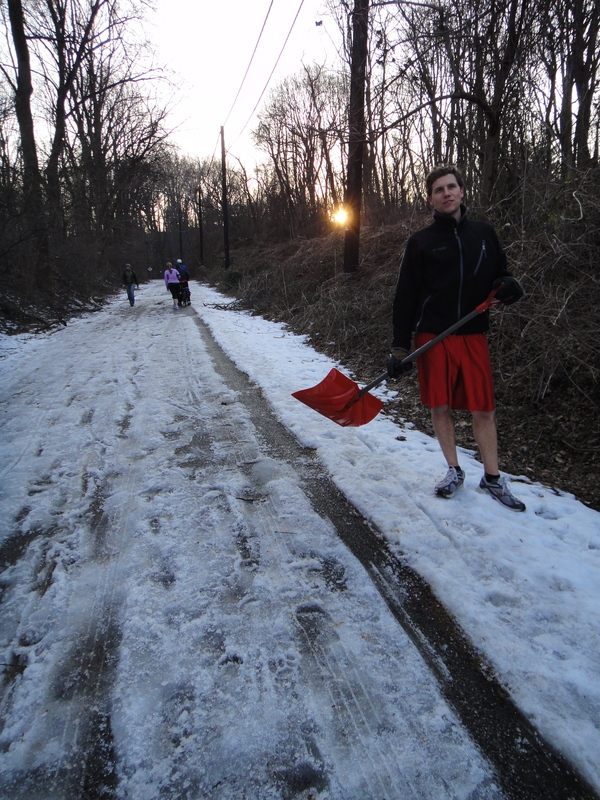 While making our way down to Georgetown, we came upon a person shoveling a path through one of the remaining icy patches. That was so cool! Thanks to him, we were able to pedal safely through a patch that, earlier in the day, would not have been rideable. I’m not used to those types of random acts of kindness in the city. Like I said, it was cool. Although I never did figure out how he carried the shovel on his bike. Overall, it was a good day. The wind was brisk, but temps were mild (40s) and there was plenty of sun. Hey, sometimes you can’t have everything. I’m glad we got out. Velocity Bicycle Coop: Schwinn Paramount or Rivendell custom, anyone?